Daniel Ospina won Event #14: $1,500 No-Limit 2-7 Lowball Draw for $87,678 beating a field of 260 players. 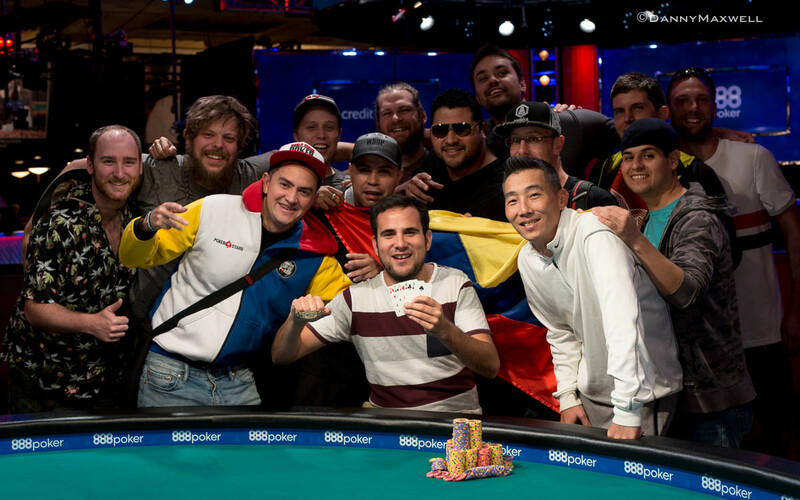 Ospina defeated Timothy Mcdermott heads up and earns his first ever World Series of Poker gold bracelet. This marks not only Ospina's first bracelet but the first bracelet win for the country of Colombia as well. Ospina and his rail proudly posed with the Colombian flag upon Ospina's victory. In 2015, Ospina came second in this same event and to win it this year meant everything to him. "I just really felt like it was my time, I never really doubted myself and felt like everything was coming full circle." 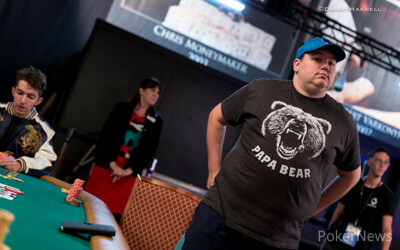 Ospina came into day three with a massive chip lead and would not relinquish it the entire day on his way to victory. A few hands into the day, Ospina put a slow roll on Shaun Deeb to bust him in third. "I three-bet with an eight-seven and I knew when he called he only had about 1.5 pot or so behind. Deeb drew one, I patted, and he shoved. He likes to play these big polarizing spots and when he shoved, I knew this was the time." Deeb tabled a and was eliminated by Ospina's . "Deeb has a reputation for slow-rolling people in the past and I have a bit of history with him in some other events we've played. I decided last night if the opportunity presented itself to slow roll him, I was definitely going to do it." 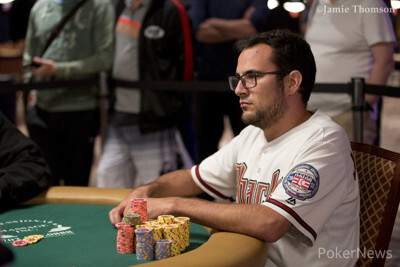 Then Ospina faced off heads-up with Mcdermott, both pursuing their first-ever gold bracelet. The two went back and forth for a half hour or so before Ospina took a hefty amount of Mcdermott's stack with an , leaving Mcdermott crippled. 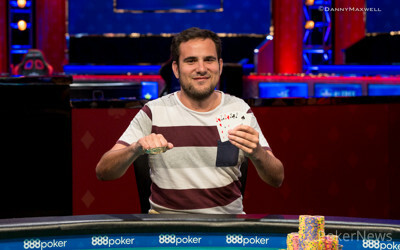 The pair of players proceeded to play a few more orbits with either folding or shoving from the button until the final hand where Ospina shoved and Mcdermott made the call for his last remaining 200,000. After both drawing one, Mcdermott drew a to show a with Ospina showing needing to improve with Ospina's draw. When Ospina flipped over the , his rail erupted into cheers as the Colombian captured the victory. Daniel and his rail had the Colombian flag with them, which carried a story in and of itself. "I was walking through the airport to catch my flight to Vegas when I noticed one of those Colombian gift shops," Ospina said. "My first thought was, oh I'll need a flag for when I win a bracelet and I don't think I could find one in Vegas, so I bought it and here we are." "I've actually been taking some time off poker in the past couple of years. There was a point where I wasn't really sure if I was going to go back to it or not. But to win today after my second place a few years ago just means the world to me. I feel like back then I wasn't really mentally ready in a lot of ways and I feel like today means so much more to me than it would have back then." Some other notables to earn a cash in this year's event include Stuart Rutter who was poised to make back-to-back $1500 NL 2-7 final tables. He made it as far as the final two tables but ultimately busted out in 13th place ($4,311). Daniel Weinman also had a deep run spoiled falling in 11th ($5,420). Some other familiar faces who cashed on Day 2 include Mark Gregorich (15th - $3,522), Maria Ho (16th - $3,522), Roland Israelashvili (26th - $2,959), Jesse Martin (35th - $2,557), and Robert Mizrachi (38th - $2,276). 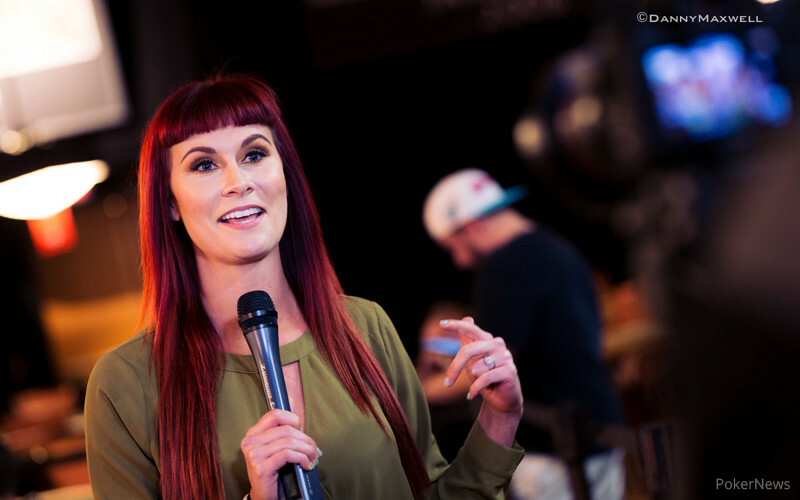 PokerNews continues to cover Event #7: $565 COLOSSUS No-Limit Hold’em, Event #13: $1,500 Big Blind Antes No-Limit Hold'em, as well as Event #16: $10,000 Heads-Up No-Limit Hold'em Championship among others, so be sure to follow along for all the news and updates as we continue the 2018 World Series of Poker. Daniel Ospina open-shoved the button to put Timothy Mcdermott at risk. Mcdermott mulled over his hand for a minute and called. Both players decided to draw one card each. Mcdermott showed a with Ospina showing Mcdermott revealed his draw first, a and would need help from Ospina's card to earn the double. Ospina turned over a clean and eliminated Mcdermott in 2nd place. Timothy Mcdermott opened and called a three-bet from Daniel Ospina. Each player drew one and Ospina bet 200,000. Mcdermott tanked for a moment before making the call only to see Ospina table an , forcing him to muck and slide a huge portion of his stack over to Ospina. 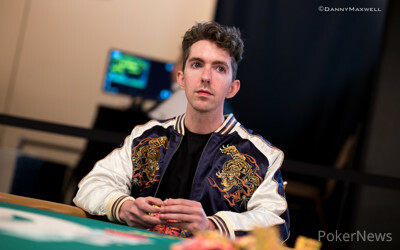 Timothy Mcdermott opened to 30,000 on the button and Daniel Ospina three-bet shoved all in. Mcdermott took a few moments before making the call, putting himself at risk. Each player drew one with Ospina tabling a and Mcdermott ahead with a . Ospina drew a giving him a pair and Mcdermott scored the double-up after peeling an . Shaun Deeb opened to 25,000 on the button and called a three-bet worth 105,000 from Daniel Ospina out of the small blind. Ospina stood pat while Deeb drew one. After Ospina checked, Deeb moved all in for about 300,000 and after a few moments in the tank, Ospina made the call. Deeb tabled a but was clipped by Ospina's and was sent to the rail in third place. Timothy Mcdermott opened the button to 30,000, Daniel Ospina then put in a three-bet from the big blind to 100,000. Mcdermott took a few seconds before making the call. Both players chose to draw one, Ospina checked with Mcdermott checking behind. "Queen." Said Mcdermott. Ospina had one card better showing and added to his chip lead. Play has begun for the three remaining players Shaun Deeb, Daniel Ospina, and Timothy Mcdermott. Shaun Deeb is still currently multi-tabling Event #13: $1,500 Big Blind Antes No-Limit Hold’em as well.